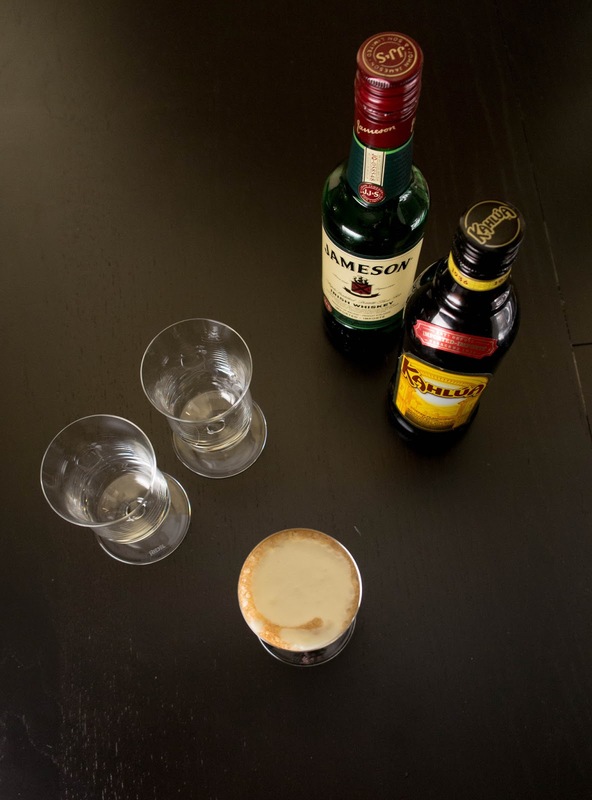 Irish coffee has four main ingredients: coffee, whiskey, sugar, and cream. My secret (not so secret) is to add a little bit of Kahlua. 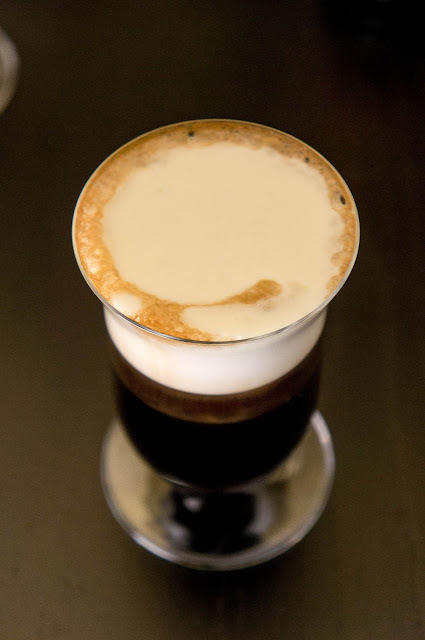 Traditionally Irish coffee is not topped with whipped cream, but simply heavy cream that is layered on top of the coffee. I whisked mine a little bit, just until it was the tiniest bit thickened, for extra richness. The perfect end to any St. Patrick’s day celebration. Whisk the heavy cream just until slightly thickened. 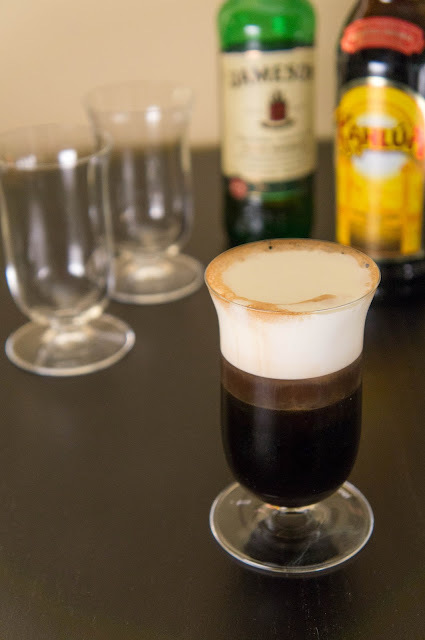 Mix together hot coffee, sugar, whiskey, and Kahlua in the glass of your choice (transparent ones make the layering really pop). Grab a spoon and pour the thickened cream over the back of the spoon just above the level of the liquid in the glass so that it slowly forms a layer on top of the coffee. The spoon helps distribute the weight of the cream over the entire surface area of the drink so that it doesn’t sink straight to the bottom.